Overall, the totals for this month are falling back into the trends that we saw last year at this time. New Listings – Up from last month and the highest we’ve seen so far this year. Homes Pending – Jumped up quite a bit from last month, but slightly lower than May of last year. 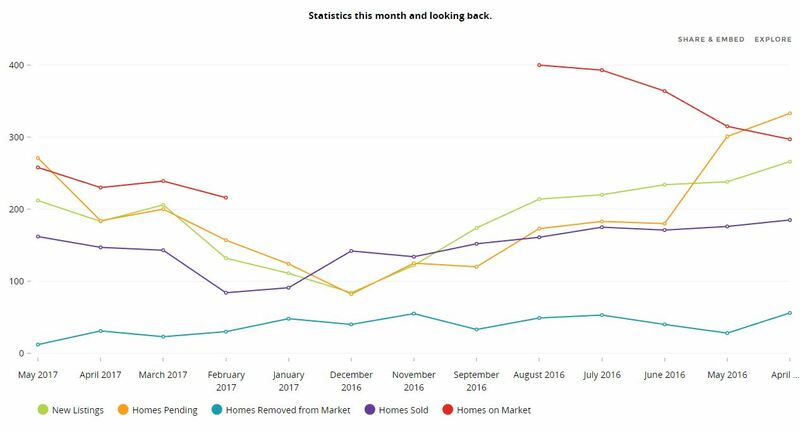 Homes Removed from Market – Down by nearly half of what we saw last month and in May 2016. 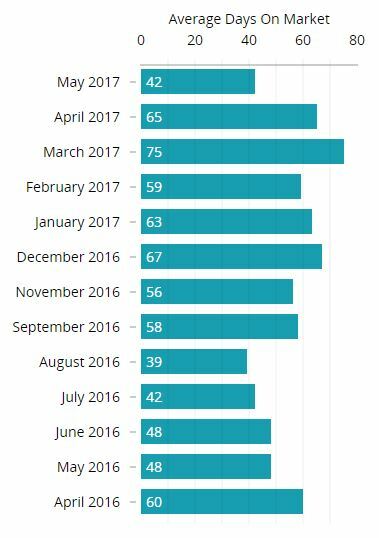 Homes Sold – Continuing to gradually increase, leaving this month’s number of homes sold slightly below the total for this time last year. Homes on Market – Slightly higher than last month, but quite a bit lower than the total in May 2016. List to Sales Price – Not too much change here. Still relatively high and continuing the trend from April. Average Days on Market – A pretty large decrease from last month and by far the lowest we’ve seen this year. Houses are starting to move a little quicker, and based on last year’s statistics this trend will continue through the summer months.